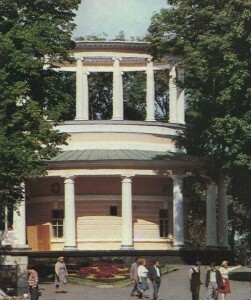 Culture | Park Pavilion “Askold’s Grave”. 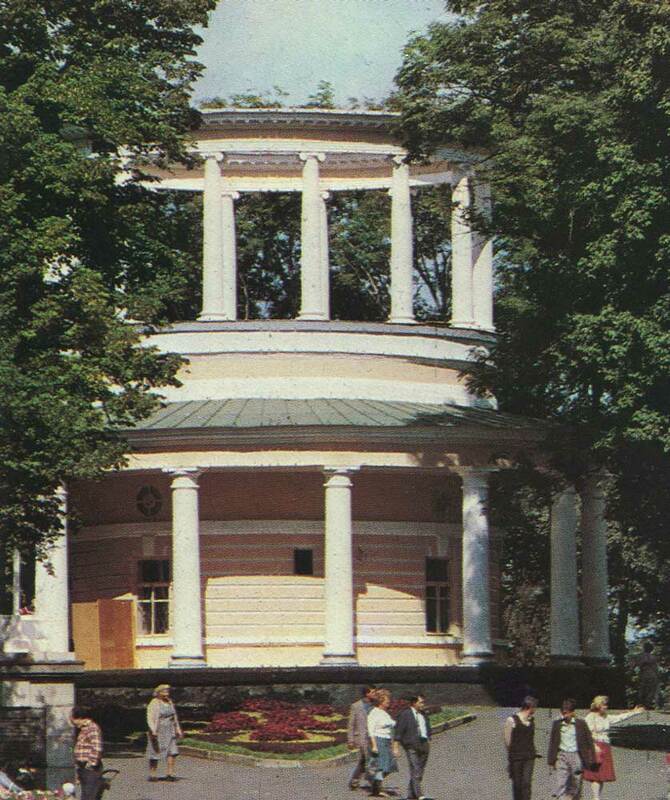 In 1810, architect AI Melensky erected here a stone church rotunda. In 1935, the architect PG Yurchenko colonnade wraps. Now here is an exhibition “History of the countryside” Askold’s Grave “. Kiev streets remind us not only of the recent past events, but also about the olden days. This picturesque street is named Rognedinskaya – in memory of his wife Grand Prince Vladimir of Kiev Svyatoslav, during whose reign the Kievan state and the ancient city reached the highest development.Diorama “Kiev X-XIII centuries.”. Fragment “hem”. In the foreground – the Church of the Virgin Pirogoscha. XII century. Reconstruction YS Aseeva. Museum of the City of Kiev.